5th June 2014. 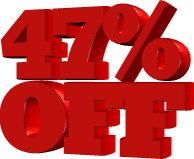 ExplorOz Tip of the Week, Bloomin News, 47% Off Shop Sale Continues, Office Updates, New Editions of The Kimberley - Travel and Adventure Guide & Cape York Map, Travel Tips and Alerts for VIC High Country. Do you know how to log into ExplorOz to access interactive features such as the ExplorOz Forum, upload photos and generally get more from the website services? If you do not know how to login, here's how: go to the top left of the site and click the orange tab titled "login". Enter your email address and click "forgot password". This will send your current password to you via email. June is the month for spotting Emu or Poverty bushes (aka Eremophilas) if you're travelling in the drier areas and northern parts of WA. This shrub has colourful red, pink, white, mauve or purple flowers and many flower a couple of months after good rain. 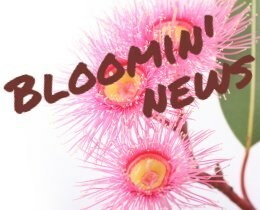 For other practical tips and advice on identifying wildflowers, check the Blooming News tab in the Wildflowers section of the ExplorOz website. EOTopo200K is a new map of the whole of Australia. Contains nearly 5000 updated roads/highways representing a significant improvement over the old NATMAP Topo 250K. The product comes complete with supporting files to allow you to customise your onboard mapping. We have HN7 with EOTopo pre-loaded and in stock for only $40 more than the standard HN7. Our Customer Service Manager Adele will be away on annual leave for the upcoming fortnight. During her absence we will do our best to answer all your queries. Of course, this does not in any way impact upon our Shop order processing, as all orders are processed by our warehouse team. Also please note that Monday is a public holiday in SA (where the warehouse is located) so any orders placed after 1.30pm AEST on Friday will not be processed until Tuesday 10/6. New to the shop this week is the eighth edition of the definitive The Kimberley – Travel & Adventure Guide (Previously titled The Kimberley - An Adventurers Guide) by Ron and Viv Moon. This guidebook is considered to be the ‘bible’ for those travelling the Kimberley so don't leave home without it. Also in stock is the thirteenth edition of the bestselling Cape York Map (by Hema Maps). This is a waterproof regional map of Cape York that features detailed mapping of the Tip and insightful tourist information for trip planning. This edition contains updated mapping from below Innisfail to the Tip, with numerous points of interest and GPS field-checked 4WD tracks marked on the map. We encourage you to contribute to the travellers grapevine by coming back to ExplorOz.com after your travels to find the section listed in our Road Conditions Report for the tracks and roads you explored and to ADD YOUR COMMENT. Don't leave it for someone else. New comments are always appreciated. Victoria Alert: Much of the High Country is closed to vehicle traffic each year by National Park Authorities. Seasonal road closures generally operate from the long weekend in June through to the end of October, but may be extended due to weather and track conditions. Roads listed in our Road Conditions Report will be updated as needed, and further details can be viewed here: Victoria High Country - Seasonal Track Closures.